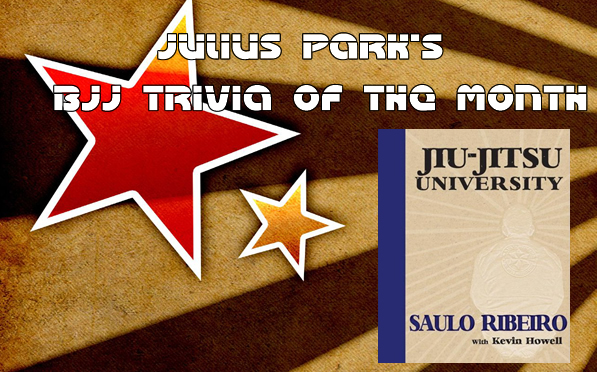 Trivia of the Month- September: List Times Saulo Ribeiro got Submitted in Black Belt Competition and by Whom? Need more of a challenge: Which submissions did the opponents use? ← Circuit of The Week : Snap Downs, Burpees, and Side to Side Jumps World of Fun! oh and i think saulo retired the first time when roger submitted him. am i correct. i tried to find the article to prove it lol. but vagley remember thats why he handed him his black belt. ADCC counts by the way. not sure what an elbow lock looks like , thats what they had the win listed as. lol. i wasnt there to see it lol. looks like dean lister beat Saulo Ribeiro by leg lock in a double overtime war in ADCC 2003.
but i looked and looked all over , its hard to find all the results but i so far have , roger gracie, mike fowler(adcc), and dean lister(adcc). Who is Himelickmaneuver? This was a good attempt, but still not the correct answer. 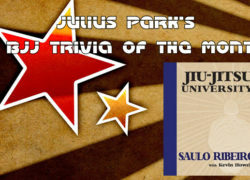 Correct answer will be given Tuesday, September 30at 11:59:59 pm.